You've found the perfect combination of edgy and chic in the Madden Girl Dolo booties. 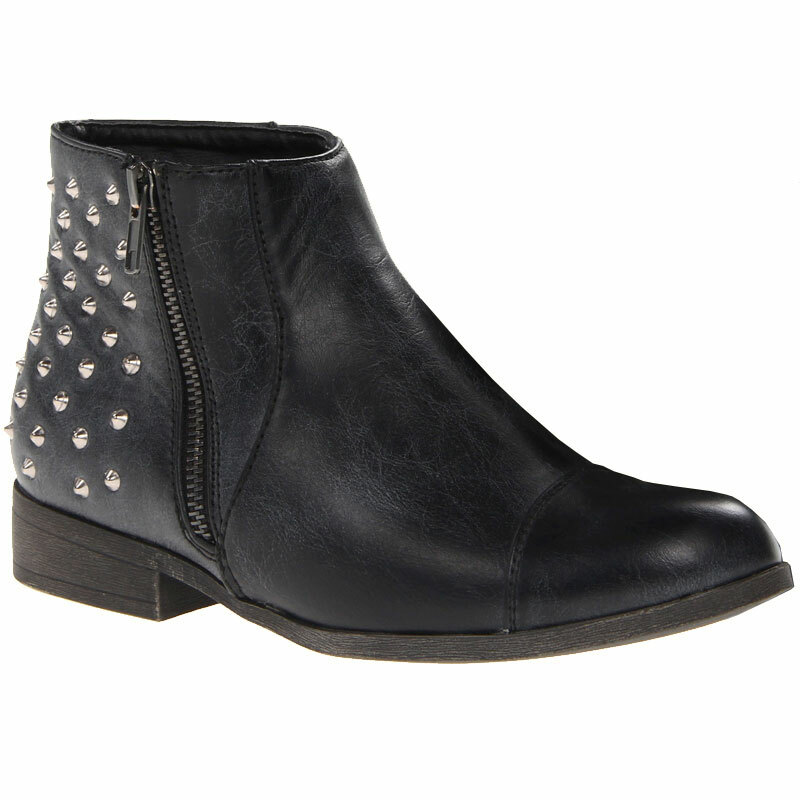 These women's ankle boots have a smooth, faux leather upper for a classic look. The edge comes into play with the studded back panel and outside zipper, which delivers a fierce look to any outfit. A lightly cushioned man-made footbed and lining helps you feel comfortable. Pair the Madden Girl Dolo booties with leggings and a bandage dress for a rock and roll look or with skinny jeans and a cowl neck shirt to add modern style to a classic fall look. I must say the people at Dodds are great. Fast response to my questions and have even offered to check their stock again for a larger size. Love the boot, the price and style, just a bit small as my normal size 8... I must say my review is as much about Dodds as the boot! Love 'em! Steve Madden shoes are at the forefront of modern and trendsetting style, and have been for the past two decades. The company's vision to give young, fashion forward men and women a unique way to express their individuality through style resulted in millions of customers worldwide and propelled the designs to the forefront of the fashion industry. Madden's footwear vision is continuously evolving. Steve once said, "What inspires me is what I see people wearing on the streets of the world from New York to London and beyond. I get my ideas and inspiration from pounding the pavement all over the world. Today, fashion is dictated by individual style." Today, the Steve Madden brand represents a lifestyle. It is about embracing fashion while still maintaining that funky independence that first defined the brand 20 years ago.